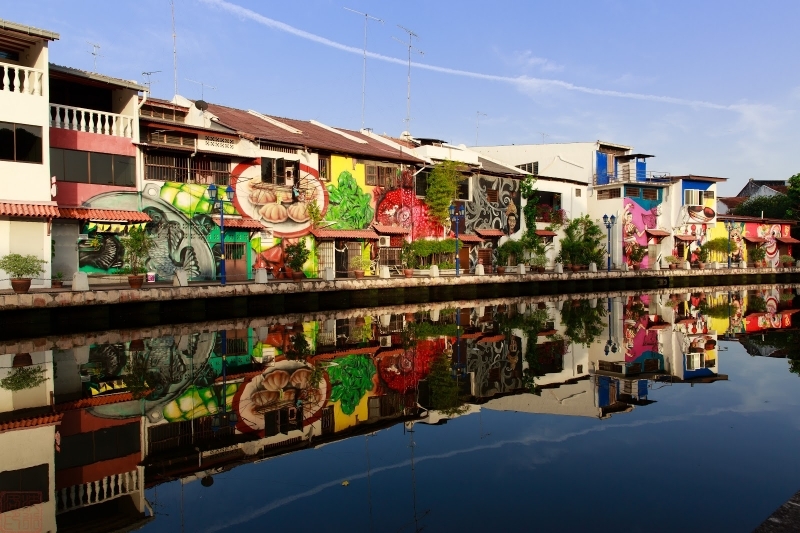 The Peranakan Chinese community, among others, is considered an important part of Malaccan history. Today in Malacca, it is so easy to find Peranakan Chinese culture in the form of food. Almost everywhere you go you can find a shop that serves good Peranakan delicacies. But with so many options to choose from, where do you start? Don’t worry because I’ve got you covered! For one-plate dishes, Mee Siam is a ready-to-go meal that you must try when you are in town. It may look like simple fried vermicelli, but the taste of it is heavenly. The vermicelli is cooked together in a prawn-based stock. Usually, it is served with shredded omelette, fried shallots, sliced chilli and a touch of sambal belacan (chilli paste) to give it that extra kick. This is a local favourite for breakfast every morning. Places like Baba’s Low shop, serves Mee Siam hot every morning. When you walk by the shop you can even smell the delicious aroma! That will definitely get your tummy rumbling! 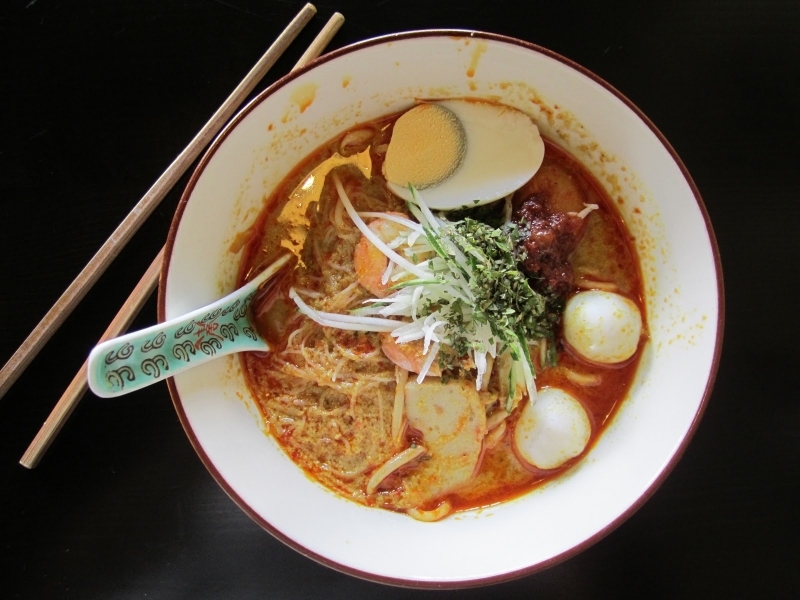 Another must-try local favourite is Nyonya Laksa. It is a breakfast staple for most on a lazy weekend. This is a bowl of prawn and fish-based stock that is served with your noodle of choice (yellow noodles, flat rice noodles or vermicelli), half a boiled egg, fresh bean sprouts, tofu and some chilli. What makes the dish so popular is the broth, and no one does it best like Baba Low. It is the amount of creamy coconut milk, infused with fragrant spices that make it such a perfect dish. The soup has that kick of spiciness to it that makes you want to order more than one bowl! 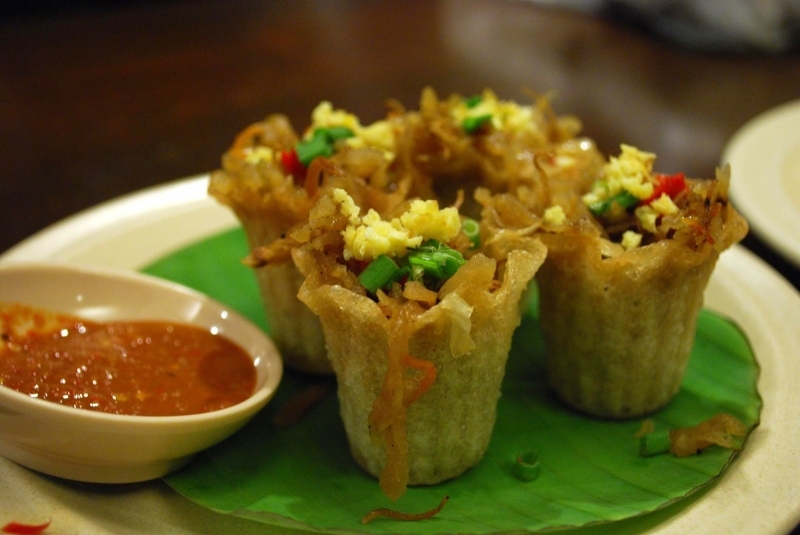 Pai Tee is a staple appetiser in Peranakan Cuisine. Traditionally, it is often served during special occasions like weddings or when you are having guests over. Now, you can easily find it in any Peranakan Restaurant. Pai Tee has a symbolic shape of a teacup that acts as a way to welcome guests or to show respect. The size of the pai tee reflects the skill of the chef who made it. The cup is made out of flour and it is deep fried. It is then filled with stir-fried turnips and carrots. Before serving, you should drizzle some chilli paste on top of the pai tee to give it a little heat. Even though it doesn’t look like much, it is simply delicious. This dish simply translates to “meat” and “tea”. It reflects how the Peranakans usually have their meat. The Pongteh that we know today is basically a meat stew that could be either chicken or pork. What gives the dish its savoury, sweet and salty texture that makes your mouth water is the preserved bean paste. Diced potatoes and mushrooms are also added and cooked until tender with the meat. I would recommend having this at Amy’s Heritage Nyonya Cuisine when you are in town as this place serves warm and hearty homemade food aside from the delicious Pongteh. It is a must-have with a warm bowl of rice so that none of the gravy is wasted! As one of the most exotic foods in Peranakan Cuisine, Ayam Buah Keluak features the black nut (Buah Keluak) that is originally from Indonesia. The dish is typically cooked together with tamarind, a combination of spices and chicken. What makes this dish so robust is the flesh of the nut when it is cooked. It is fatty, creamy and spicy and each bite makes you salivate even more. This dish is also fun to eat as you will need to scrape the flesh out from the opening of the nut. In the past, only rich Peranakan families could afford to eat it as the nut could only be obtained as an import from Indonesia. 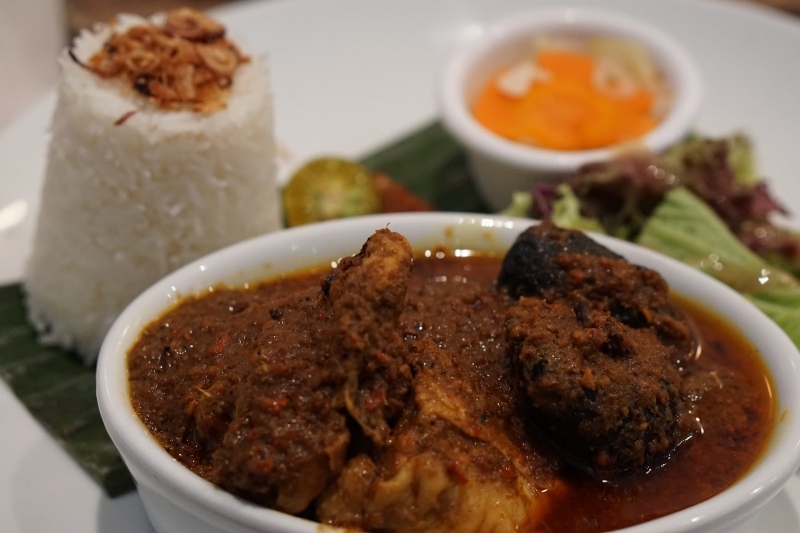 However, today, it is commonly found and as a result, Ayam Buah Keluak is one of the signature Peranakan dishes in most restaurants. You would be nuts not to try it. For the beef lovers, Nyonya Beef Rendang is a must try. This dish is often cooked in a pressure cooker for hours with assorted spices such as shallots, dried chillies, garlic, galangal, lemongrass, curry powder and of course, coconut milk! Only when cooked right, will you get tender meat that easily pulls apart, yet remains packed with flavour. 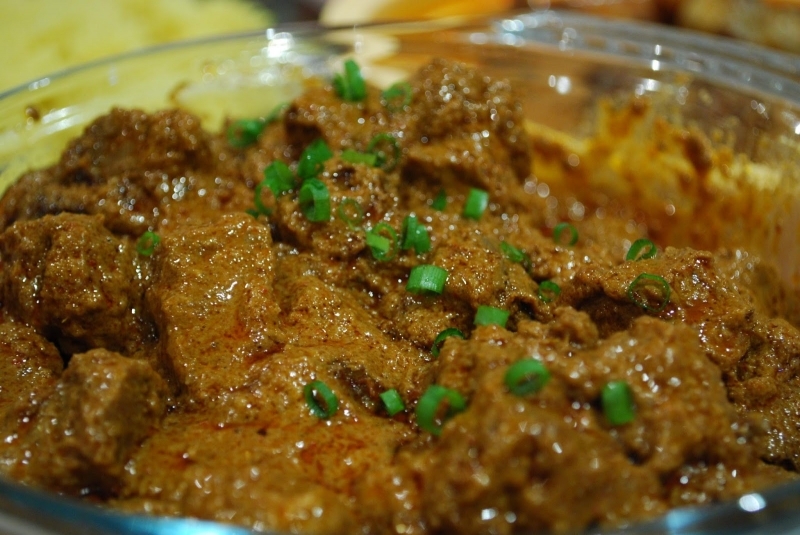 Beef Rendang is also a great dish that showcases the harmony of different cultural elements in the form of a dish. The combination of Malay spices and Chinese cooking styles has long been etched in history. Thankfully you can still find this dish in modern times in many Peranakan restaurants around town. However, no one does it better than Donald & Lily’s! Moving on to the greens, Chap Chye is an all-in-one vegetable pot stew. 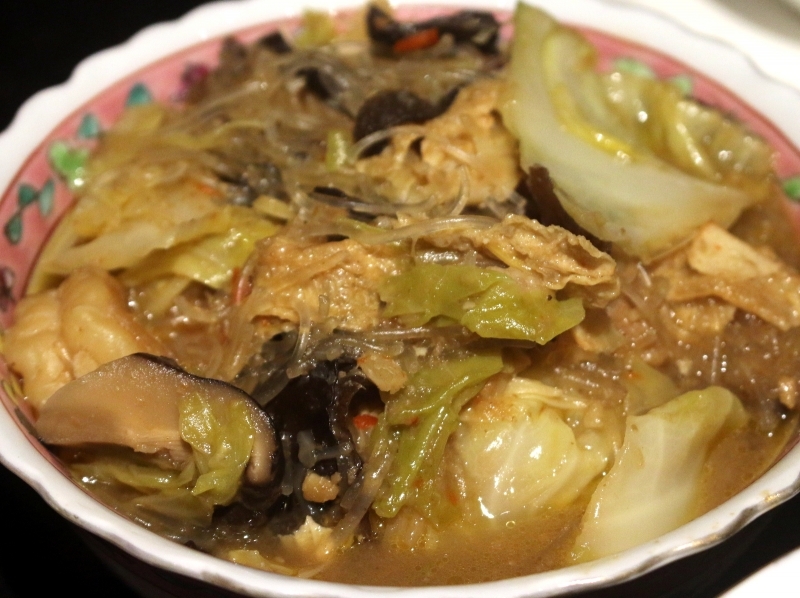 Relatively simple to make, it contains a heap of chopped white cabbage, black fungus, dried bean curd and glass noodles. To add crunch, you will sometimes find it served with roasted cashews as garnish. This is a great dish for all sorts of people as it is one of the dishes that isn’t spicy. The size is also great for sharing when you have a large crowd. 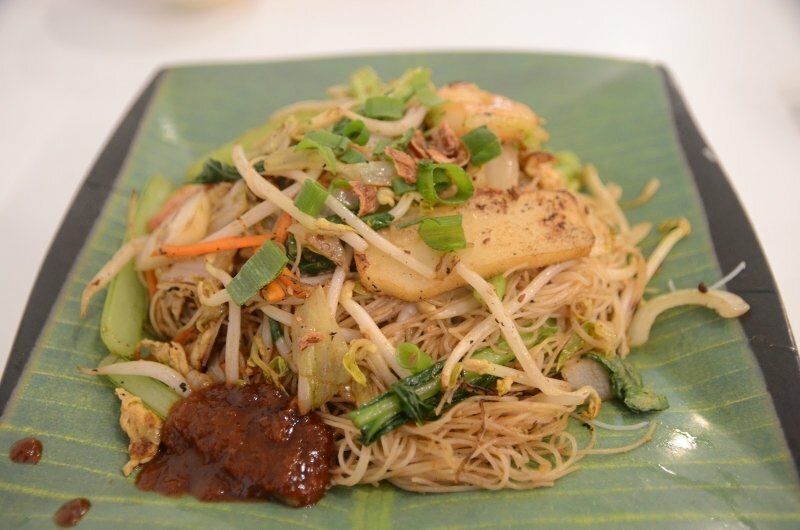 Simply a perfect dish to order when you visit a Peranakan Restaurant near you! Nyonya dumpling is one of the Peranakan community’s traditional festive dishes that remains a favourite today. With influences from Chinese culinary heritage, the Nyonya dumpling is easily distinguished thanks to the blue tint on the glutinous rice. This natural blue tint is extracted from a flower known to the locals as bunga telang or the blue pea flower which is native to Melaka. In comparison to conventional Chinese dumplings, Nyonya dumplings are usually sweet and salty. 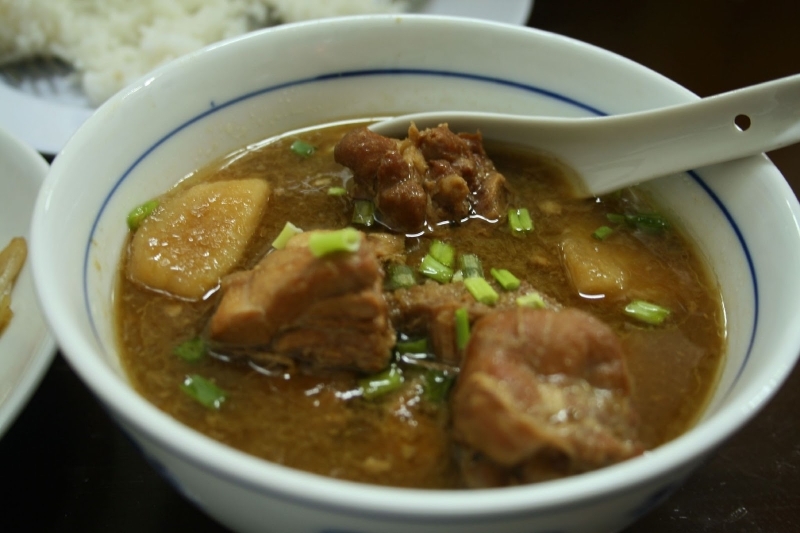 This is because the minced pork is mixed together with mushrooms and winter melon, giving it that unique flavour. During the day, you can find dumplings sold at Jonker Street by local vendors. However, I prefer the ones served at Jonker88 as it is made fresh daily. 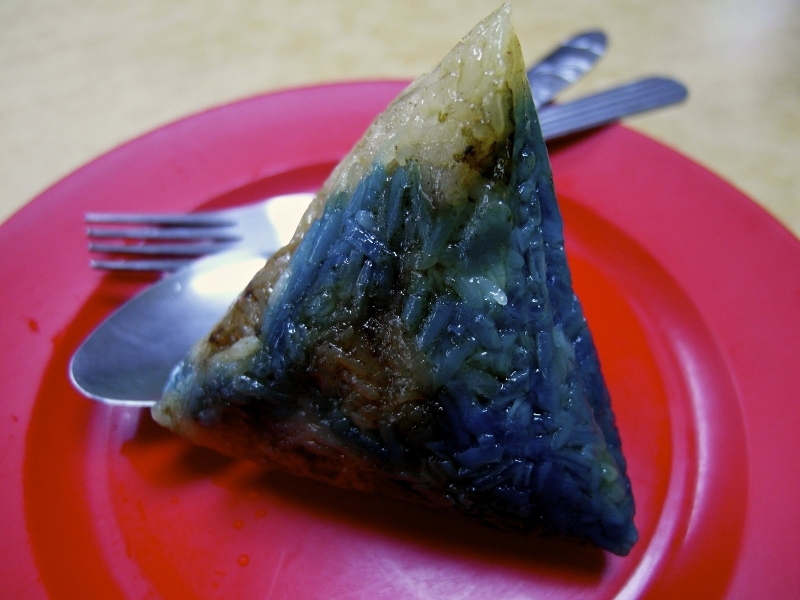 We can always find this mouth-watering kuih all around Malaysia. 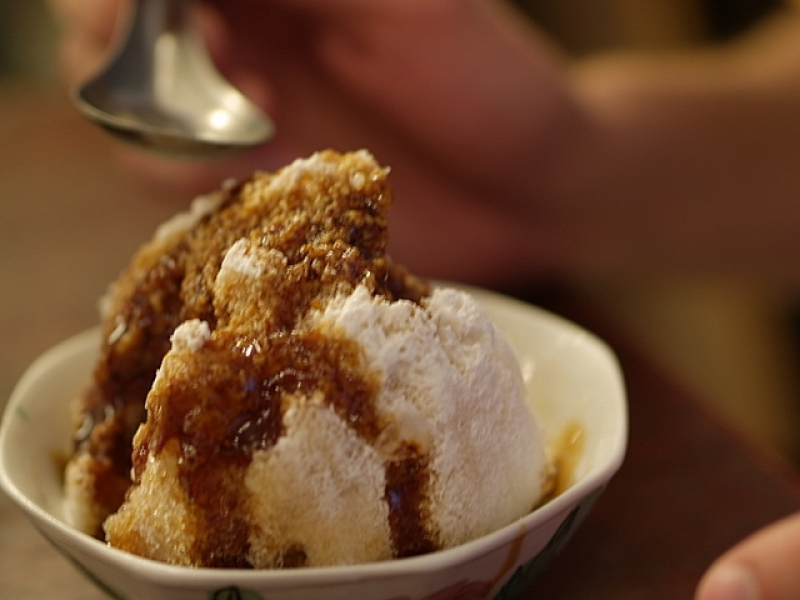 What makes the Peranakan version so special is the use of Gula Melaka (Palm Sugar) to make that sweet syrup which floods your mouth when you bite into it. For the uninitiated, ondeh-ondeh is basically a snack that has a tiny chunk of Gula Melaka covered in a ball made of tapioca flour mixed with pandan extract. 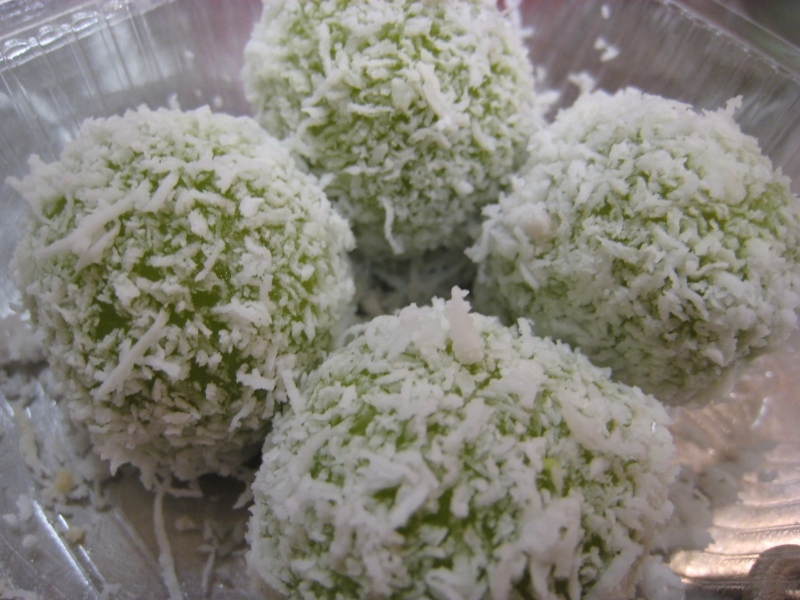 It is then coated in coconut flakes to give it a crunchy texture. If you are looking for good ondeh-ondeh, do stop by Baba Charlie’s kuih shop Just remember to eat with your mouth closed! You wouldn’t want that gooey goodness to flow out of your mouth now do you? Cendol is basically shaved ice with pandan flavoured jelly and kidney beans in coconut milk and brown sugar. Cendol the Peranakan way infuses Gula Melaka with coconut milk to give an even richer taste. Despite its apparent simplicity, Peranakan cendol is very creamy and sweet and is a must try whenever you are in Melaka. We recommend the cendol at Aunty Koh’s stall. Given the presence of a unique ingredient in this version of Bubur Cha Cha, you should never forget to taste it when you are in town. The durian, though optional, gives a strong aromatic (or pungent depending on how you feel about the fruit) flavour to this dessert. 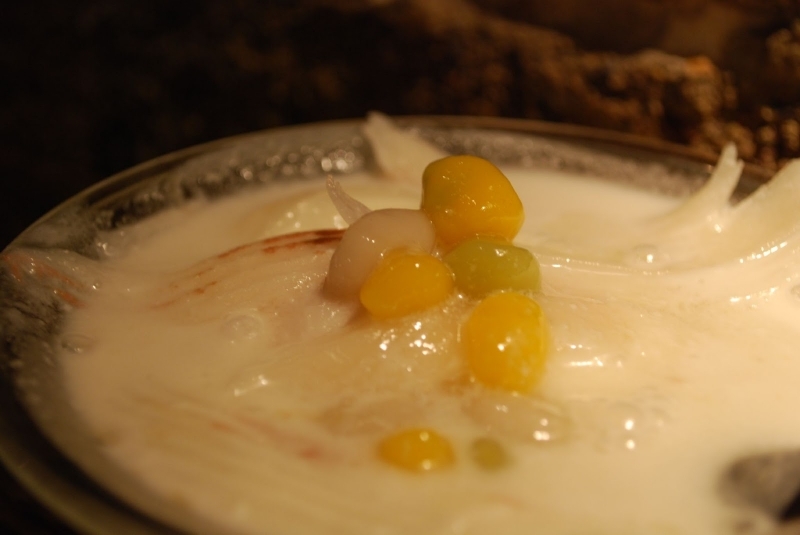 On its own, Bubur Cha cha is a fusion of thick coconut milk with sweet potato cubes, tapioca jelly and sago. You can find this at places like Jonker88 that serves them throughout the day. 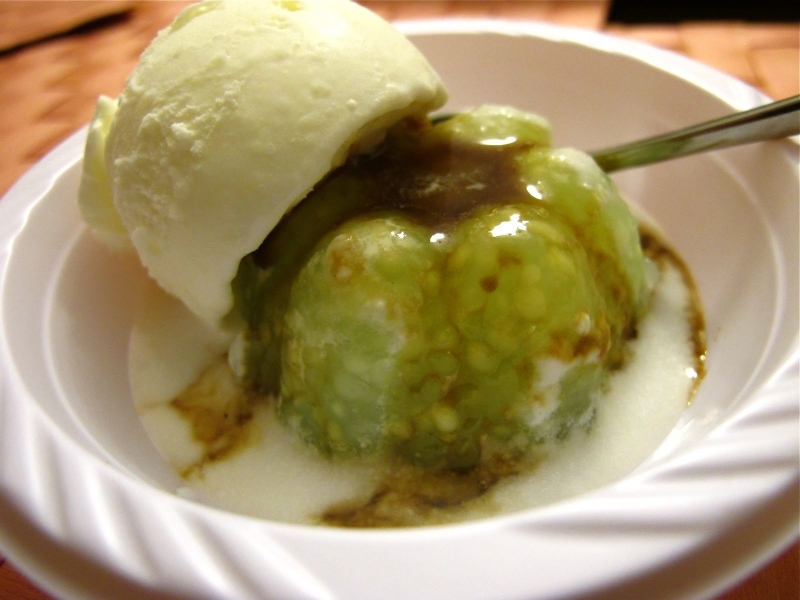 (In my opinion) The best dessert award goes to Sago Gula Melaka. Comprising of only three simple ingredients (coconut milk, gula Melaka and sago pearls), you definitely have to try it. It is especially delightful when it is served with shaved ice or ice cream. You will lose your mind! Of course, you can find this in almost all Peranakan Restaurant but my personal favourite is at Nyonya Makko Restaurant located at Taman Melaka Raya. With the unique blend of flavours from both Chinese and Malay culinary heritage, Peranakan cuisine has a rich history that will surely be passed down to generations to come. What makes Peranakan cuisine even more special is that there are no two recipes that are the same. Thanks to the variety of ingredients used and the different classic recipes from the old days, biting into a serving of Peranakan cuisine always feels like an exciting new experience. It’s no wonder people can’t get enough of Peranakan cuisine! Samuel believes that sometimes the best journeys cannot be planned for. Driven by wanderlust, Samuel often finds himself lost while travelling. 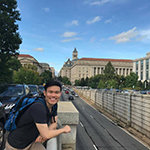 Without relying on Google Maps, he made friends along the way to help him discover new places to explore and eat. When he is home, he is always sharing his experiences and inspiring others to do the same. And, his favourite Pokemon is Bulbasaur!